The Universal Teachings comprise a body of knowledge and a common ground of all the religions and philosophies of the great teachers in history––Lao Tse, Buddha, Jesus, Ra, Krishna, and others. 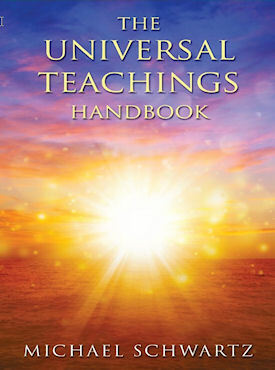 Regardless of your faith, life path or practice, the principles of the Universal Teachings are applicable to your life. They transcend all boundaries. The Teachings will help you to understand how your life works at the deepest subconscious level. As you incorporate the understandings and applications of the Teachings into your life, you will begin to see change and growth almost immediately. They are a way of gaining control over emotions, becoming at peace and looking at life and relationships from a position of strength and greater personal power. The Teachings will provide a foundation for living, thinking and experiencing life, helping you to see and understand the deeper intricacies and the hidden energies at work in everything you experience.